This post was submitted by Angel Krishna. Monkeys and Alligators Play Baseball is a wonderful book that will help your child discover that it’s important to be open and honest and to share his or her true feelings. 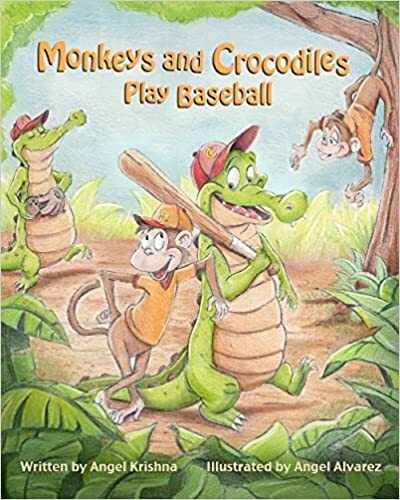 You can get a copy of Monkeys and Alligators Play Baseball by Angel Krishna on Amazon. So what do you think about this book Monkeys and Alligators Play Baseball by Angel Krishna? Please leave a comment below. I would also appreciate it if you click one (or all ;)) of the icons below to share this page. Before you leave, here’s some downloadable illustrations for children that you can print off for your little ones. And it’s totally FREE! Or, would you prefer some spooky word games for fearless children? They’re also FREE too. This entry was posted in Uncategorized and tagged Angel Krishna, children's book, Monkeys and Alligators Play Baseball, Monkeys and Alligators Play Baseball by Angel Krishna. Bookmark the permalink.